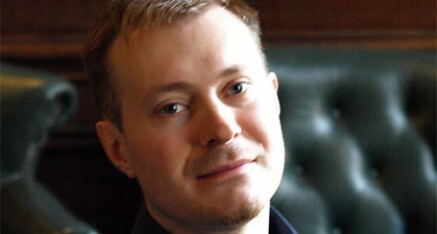 Mikhail Shilyaev was born in 1979 in Izhevsk, Russia. He started learning the piano at the age of six and won several regional piano competitions at a young age. In 1992 he entered the Central Music School of the Moscow Conservatoire and in 1998 became a full-time student at the Moscow State Conservatoire, where he studied with Olga Zhukova, Elisso Virsaladze and Mikhail Lidsky. In October 2003 he gained a DAAD scholarship which enabled him to study at the Munich Hochschule with Franz Massinger. Mikhail is the prize-winner of many competitions, and has been supported in his studies by many awards. In 2005 he won both second prize in the Ibiza International Piano Competition and first prize in the Intercollegiate Beethoven Competition organized by the Beethoven Piano Society of Europe. In July 2006 he won second prize in the Amy Brant Piano Competition in Birmingham. He has also been awarded the Myra Hess Award from the Musicians’ Benevolent Fund, the 2006 Ricci Foundation Award and the 2006 Maisie Lewis Award. He has performed as a soloist and chamber musician throughout Europe and in 2005-7 Mikhail studied at the Royal Northern College of Music in Manchester with Mark Ray, Alexander Melnikov and Nelson Goerner. He gave his Wigmore Hall debut recital in March 2007. Mikhail has participated in masterclasses given by András Schiff, Charles Rosen, Stephen Hough, Barry Douglas and Stefano Fiuzzi and in Summer 2007 he took part in the Britten-Pears Young Artists Programme. As a soloist with orchestra, he has recently performed with the London Soloists Chamber Orchestra, with the RNCM Concert Orchestra and the Orchestra of Trinity Laban and the Gulbenkian Symphony Orchestra. Mikhail has collaborated with prominent conductors such as Ch. Warren-Green, P. Rophé, Z. Nagy and J. Landor among others. In 2008-2010 Mikhail was an appointed Junior Fellow in Accompaniment at the Royal College of Music. In 2009 Mikhail received a Golubovich Scholarship at Trinity Laban where he was worked on his Master degree with Professor Deniz Gelenbe. In July 2010 Mikhail won the Bronze Medal at the prestigious Vianna da Motta International Piano Competition in Lisbon. In 2012 Mikhail has released a premiere recording of piano pieces by Alexander Tcherepnin on Toccata Classics. Mikhail currently holds a position of Leverhulme Artist at the Trinity Laban Conservatoire in London.